I have the great pleasure this time of interviewing one of the most lovely and interesting of writers: Carole Sojka. Carole has lived a lifetime of adventures, notably with her husband as one of the first thousand Peace Corps volunteers, and traveling all over the world. She worked, traveled, raised a family, and in retirement, turned her hand to writing. And so a new adventure began. Carole has two books to date and a third on the way in her Andi Battaglia police series, set in Florida. The first, A Reason to Kill, introduces Andi as she tries to break away from her past and start fresh. But of course the past always has a way of sneaking up on you. In her second book, So Many Reasons to Die, it’s Andi’s partner Greg who finds that the past is hard to lay to rest. Especially when she winds up murdered on your turf. 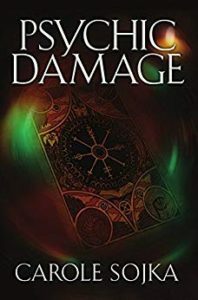 Carole’s third book is a stand-alone, Psychic Damage, about a woman who is addicted to visiting psychics — right up to the moment one of them is murdered. Oh, and if you’re looking for more information about the fascinating House of Refuge which features in A Reason to Kill, you can check it out here. If you’d rather read than listen, the transcript is below. Laura Brennan: My guest, Carole Sojka, writes mysteries — and lives adventures. She and her husband were among the first thousand Peace Corps volunteers and they have traveled to every continent except Antarctica. Her mysteries capture that sense of adventure and romance — although of course the bodies do tend to pile up. Carole, thank you for joining me. Carole Sojka: Thank you for having me. LB: You have led a very exciting life. CS: It doesn’t seem like that in retrospect, but I guess it was, or it has been. LB: Did it seem like that at the time? When you took off for Africa and the Peace Corps, did it seem like this is the most exciting thing I’ll ever do? CS: Yes, it did. I remember that no matter what was going on during our Peace Corps time, I would wake up every morning and think to myself, I live in Africa! And it was so, such a strange thing for a girl who grew up in New York. It gave me a feeling of excitement. LB: You taught English there. CS: Yes. English as a second language. The Somalis were uniting the former British colony and the former Italian colony, and they had decided that English was going to be the lingua franca. Because Somali at that time was not a written language. Since that time, Somalia has had a terrible history. The northern part, the former British colony, is a country unto itself but not recognized by anyone. LB: It’s insane how countries shift and fracture. CS: Yes. And Somalia, it is at a point where it’s part of the contest between the United Arab Emirates and the Yemeni war. It’s really in terrible shape. But Somaliland is really a country that should get more credit for keeping itself out of this, having a university, sending students to the United States for education, having a fistula hospital in Somaliland. Fistula is one of the horrible things that happen to women in childbirth, especially women who are circumcised as Somali women are. We seem to have had, when we talk to other volunteers who were there, we seem to have had probably the best experience of any of them. LB: Well, you were there very early on. CS: Very early, right after their independence, 1962 to ’64. LB: Well, I have to ask: given that foundation, why did you not set your mysteries there? CS: I really started one years and years ago which was set in Somalia, but I didn’t get very far with it and I’ve never gone back. But I do have this in the back of my mind, somehow; I’d kind of like to write some things set in postcolonial Africa, a murder mystery. So I’ll have to toy with that, I don’t know what’s going to happen. LB: One of the things I noticed in your novels is that every character is very distinct. They have their own agendas, they have their own personal demons, and they have their own ways of talking and being in the world. I was wondering if all of your travel had some influence on the depth of your writing? CS: I suppose that’s probably true. I’ve met a lot of people over the years, both traveling and in Southern California and in New York. And I do have a sense of people and the way they talk in the way they would respond to certain things. I like to do dialogue, as you probably can tell reading my books, because I like to tell a story using dialogue rather than too much description. LB: Well, when you get to your description, your description is very strong. Let me start by saying your novels are not cozies. CS: No, they’re not. But they’re not exactly noir, either. There is no murder on the page and there’s no horrible occurrences, but they’re really traditional mystery novels. LB: Yes. Your first book, A Reason to Kill, introduces your protagonist, who is a police officer, Andi Battaglia. LB: And I feel that that one and the second one in particular are very strongly from the police perspective. I hesitate to say procedural, but they are very much about the investigation and the police. And the images and the visuals are so strong. CS: Oh, well, I’m glad to hear that! It’s hard to judge your own writing, I will say that. I like doing it, and I like being in people’s heads as they are talking. LB: Yes. Let me also say that you also do an autopsy. It’s very readable, but it’s also — like, where did you learn about autopsies? Because it is so real. CS: Thank you. I learned about autopsies from the Internet. And from Doug Lyle, who does a lot of — he’s a mystery writer and also an M.D. who, I’m not sure if he still does, but he was willing to answer questions about anything having to do with procedures of murderers or autopsies or accidents. I consulted with him about that, and that’s how I got there, because I’ve not seen an autopsy and have no great desire to see one. LB: If someone hasn’t read A Reason to Kill, which was your first novel, what do they need to know just to be able to follow our conversation? 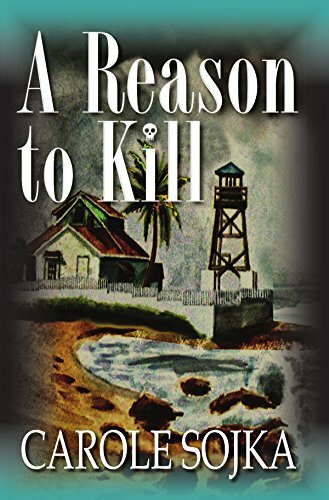 CS: Well, A Reason to Kill is set in Florida — oddly, because I’ve never lived there. But I have a very good friend who lives in this area and for some reason, it got into my novel. The House of Refuge, which is only peripherally in the final draft, was much more part of the story in the very first version. Andi is newly in this area in Florida, having grown up in Tampa. She was involved with her boss, who was a police officer, I guess he was a captain, and she finally decides to leave that area and strike out on her own. And so he’s still in the story, in and out, and she’s trying to become a more independent person. LB: One of the things I really like about it is that, while it is about the investigation into the first murder — and then more bodies! CS: Yes. It’s all the minutia of life. LB: Right. So how did you come up with the character of Andi? CS: I started out with the alcoholic Mara as the protagonist, because I thought she was an interesting character. But I found that it was hard for me to write a non-police story because I wanted some reason to be involved in this and I found it hard to have Mara continually trying to find out what was going on. And that was when it went to be a police procedural, if that’s — that’s generally what I call it. And then Greg was the protagonist. And somehow I preferred a woman, and I ended up with Andi. And she kind of developed. I mean, I knew where she’d come from, then I found the fact that she’d had this affair with her supervisor and that she was running away from that. And then her mother has breast cancer, which complicates her life enormously and banks her job very difficult to carry out. But that — these are lives. These aren’t just puzzles. These are about people’s lives. LB: Right. It’s a far cry from the Golden Age mystery which starts and ends with the murder and the hero, you know, possibly misses dinner. CS: Right! Yes. People need to have exterior lives, otherwise I think the reader will get bored. I would get bored. LB: Well, so, in your second novel, it is your male cop, who is introduced in A Reason to Kill. So in So Many Reasons to Die, it’s his personal life think it’s very complicated. CS: Yes. Because the first page introduces the body, and the body is a former lover of his. He’s never really suspected of killing her, but his boss is very, very angry when he finds out that Greg really knew this woman who was murdered. He had no business investigating her murder. And that’s part of the complication of the story. She’s an interesting character, the murdered woman. She featured in A Reason to Kill and then I cut her out at some point, but she became the centerpiece of So Many Reasons to Die. LB: It’s interesting to me that you mention that you started out with Mara as your main character for A Reason to Kill. So Mara is not a police officer, she is in fact very much suspected of the crime, and she’s almost a second protagonist, or at least a second narrator, shall we say, in A Reason to Kill. LB: Because in your third book, you do go squarely to that place. It is squarely an outsider who is your main narrator. CS: Yes, yes and perhaps by that time I felt more competent to write from that point of view. What stimulated that was, it’s called Psychic Damage, and it’s about a woman who is addicted to going to psychics for advice. And then her psychic is murdered. She keeps trying to find out what happened. Because the psychic was really her only friend. I was stimulated to write this by looking at all of the storefronts all over Southern California for psychic readers and Tarot readers and psychics. I mean, they are in virtually every town. And I wondered who the people were who go there. And I went to a few; most of them were not very good. But I guess it depends upon how much information you give them to what they give you back. LB: It’s interesting, too, that addiction features prominently in both alcoholism and the idea of being addicted to psychics. What your interest in that? CS: I don’t know. I hadn’t thought about that! Yes, you’re right. People do, I do believe that people do things because of a drive to do things that aren’t necessarily good for them but they are seeking something outside of themselves. I suppose that you could call religion that, too, but I wouldn’t want to do a murder mystery involving that. So, yes, you’re right. They are addicted people. And the protagonists in Psychic Damage has a real journey of getting past that and learning to stand on her own two feet. LB: Was Psychic Damage intended to be a standalone? CS: Yes. Yes, I didn’t really want to continue. I wanted to do her journey out of dependency. LB: I understand that you are not an outliner. You are a pantser. LB: I have to say, that would terrify me. CS: [Laughter] Well, it has caused me on the fourth novel to be at a stopping point. I’m going to have to figure out how to get myself through this. And, yes. I start out with an idea, but I don’t know where it’s going to go. I didn’t have that much trouble getting to the end of the others, although — well, in So Many Reasons to Die, I didn’t know who the murderer was going to be. It surprised me with who it was. But this one that I’ve just done, I had an idea and now I’m to a point where I’m going to have to figure out where it’s going to go. LB: So you’re working on a fourth book now? That’s exciting. CS: Yes. Yes. In it, it’s a sequel, or part of the series set in Florida with Andi and Greg, and in it — the idea was that the captain, who was their boss, suddenly disappears and when they investigate, they find that not only did he leave voluntarily, but he took a lot of city money with him. They are tasked by the chief of police to find him and bring him back. It went very well up to a point, and then I sort of hit a wall. I think I’m coming through it, but it’s been a tough go. And you know, I really think that maybe I should do more plotting because you can easily write yourself into very bad corners. And have to do a lot of backing out. CS: Yes, and it’s a surprise. I surprise myself. And that, I really like. You know, I’m, “Oh! So that’s what happened!” If I had it all out on 3 x 5 cards, I don’t think I would be that motivated to write it. LB: Right! Because you’d know the ending. CS: I’d know the ending. I’d know who the murderer was. LB: Which makes him such an interesting character to be the focal point of the investigation. CS: Right, yes. And I also change some of the setting. They’re both in Florida and then they’re in a small city in upstate New York in wintertime, where the Floridians are freezing to death all the time, because they’re not clothed nor use to the kinds of weather they’re running into. LB: Once again your personal life gets in the way of your investigation. CS: Right, right. And I grew up in New York. So this is an area that I kind of know, and I know what it looks like and the feeling of it. And I’m a great admirer of Julia Spencer-Fleming who is a mystery writer who sets her books in northern New York state. She does weather very well. I know you’re not supposed to start with weather and maybe not, but it does influence what goes on in the stories. LB: So where can people find you online? CS: I have a website at CaroleSojka.com and my books are available on Amazon. CS: My website hasn’t been updated a lot, but it’s got some interesting pictures of Africa, me with our pet baboon, Gina, and teaching in Somalia. LB: Where are you going next? Do you and your husband have another trip lined up? CS: Not right now. We’ve kind of passed the age of real comfortable traveling, so I’m not sure where we’re going to go. We’d love to go back to Paris, but neither one of us walks terribly well and Paris is a walking city. A city we both adore. So I’m not sure what we’ll do, but we’ll figure something out. Our traveling days may over but we’ve certainly enjoyed them. Boris, my husband, worked in China, he’d go three or four times a year for two or three weeks. I would meet him after he was done with his work and we would travel. We traveled through China, throughout China, we went to Vietnam and Cambodia and Thailand, and enjoyed Asia enormously. As well as all of Europe. LB: So meanwhile, you were living this very exciting life but you weren’t writing yet? CS: No. No. I was working, I worked in Orange County and commuted, and had a long drive and a very demanding job. And during years of that I had a young son at home. So I didn’t, once I retired, I started writing. And I have been fortunate enough to find a wonderful woman who used to teach creative writing at Cal State Fullerton but is now an editor of books and writing. And she has been a great help to me both in terms of confidence and in terms of learning. Her name is Candy Somoza, if anybody wants to know. LB: Yes, let’s give Candy a shout out, that’s awesome. LB: But then you — I hesitate to call you a late bloomer — but in fact you didn’t publish until well after you’d retired. CS: Right. Right. It took me a long time to get the confidence. I didn’t start out writing mysteries, I started out writing mostly short, long short stories, some of them set in Africa. And I didn’t publish anything until I was 79. Once I joined Sisters in Crime, and Sisters in Crime, the LA chapter gave me a great deal of confidence in my writing and the idea of actually putting those books out in public view. I don’t think I ever really thought about that. I just thought, well, I’ll do it for myself. But I didn’t think that I would ever have the courage to publish something myself. Anybody can do it if I can. It’s never too late. LB: Carole, thank you so much for joining me today. CS: Thank you for having me. I enjoyed it very much.